It’s finally summer! I am absolutely over the moon about warmer weather, green leaves on tall trees and of course, Pretty flowers! Flowers, being one of those basic shapes that almost every kid knows how to draw, tend to be a big topic of crafting. Its no surprise that people make a lot of flower crafts, because the results can be amazing. How do I know? Well I’m glad you asked. 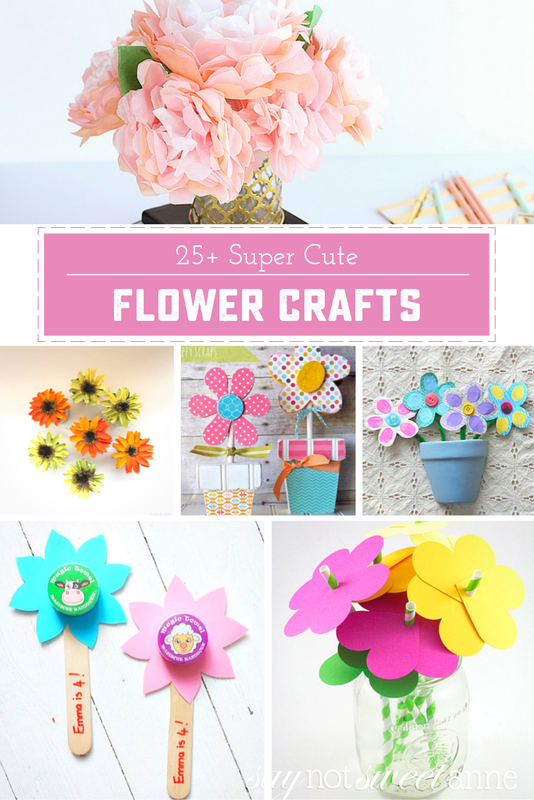 I know because of this collection of 25+ Cute Flower Crafts! Have a look, and celebrate the season with some flower power craftiness! Some of these projects are kid friendly, some are great for parties or gifts, and some are perfect for rainy spring days. I think the important thing is to celebrate this time of year, the beauty in nature, and our own creativity.